Looking for indoor games? You’re in the right place because I love finding, creating, and playing them. 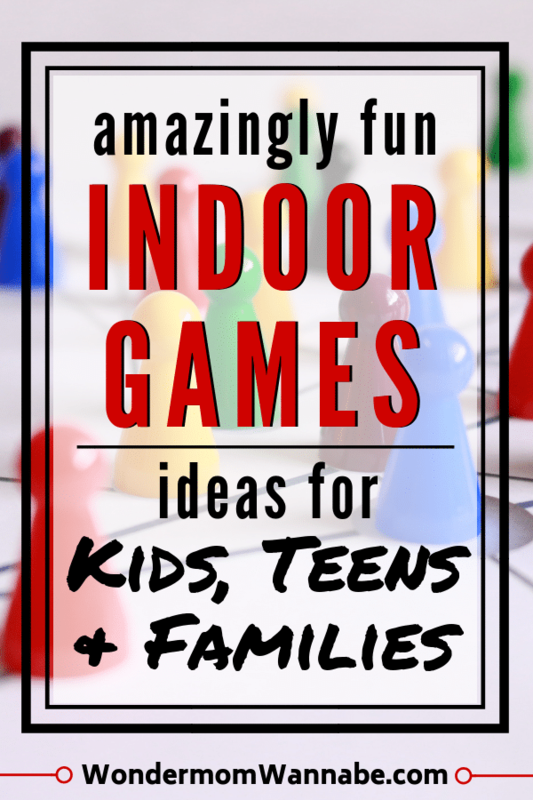 Indoor games are not only awesome activities for kids, but they’re also great for parties and for date nights or family nights at home. With five kids, I’ve hosted dozens of children’s parties at all times of the year. The best way I know to keep a large group of kids sugared up on cake from destroying my home is to occupy them with activities and games. 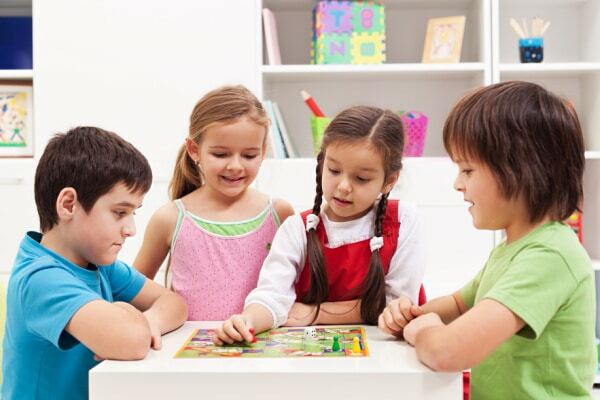 Whether you’re looking for activity ideas for a kids’ party or just want to keep your own kids occupied while you get the laundry and dishes done, these indoor games for kids will give you plenty of options. 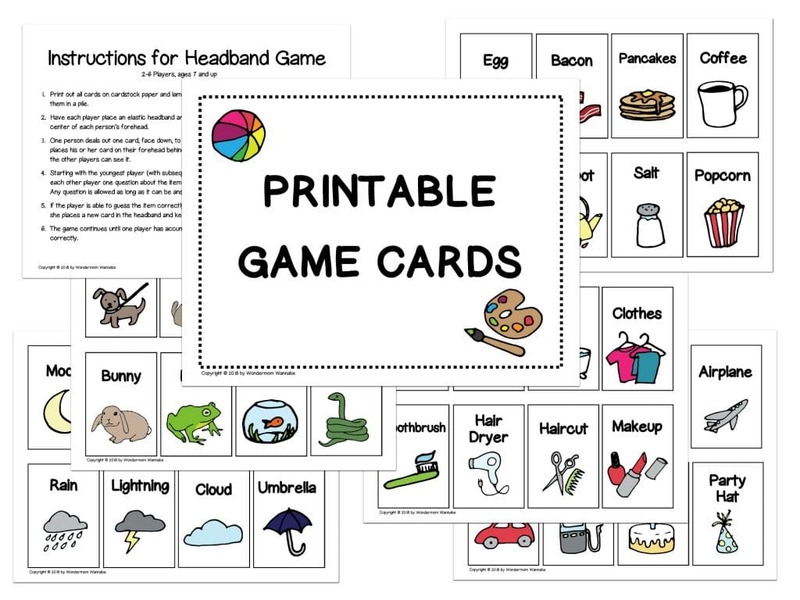 I’ve also created a set of 120 printable game cards you can use to play Memory, Charades or the Forehead Game. You can find them in my store or click the image below for more details. While my teens would cheerfully occupy themselves on their phones, watching TV, or playing video games, I like to give them plenty of screen-free options as well. As a blogger, I’m acutely aware of mobile device addiction and the risk of too much screen-time. I’d rather counteract it with activities they enjoy than with punishments or restrictions. 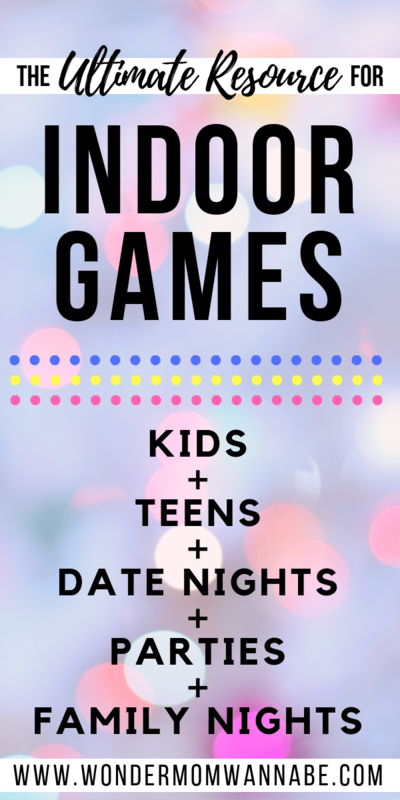 These indoor games for teens are all activities my own teens enjoy. I hope your teens have fun with them too! 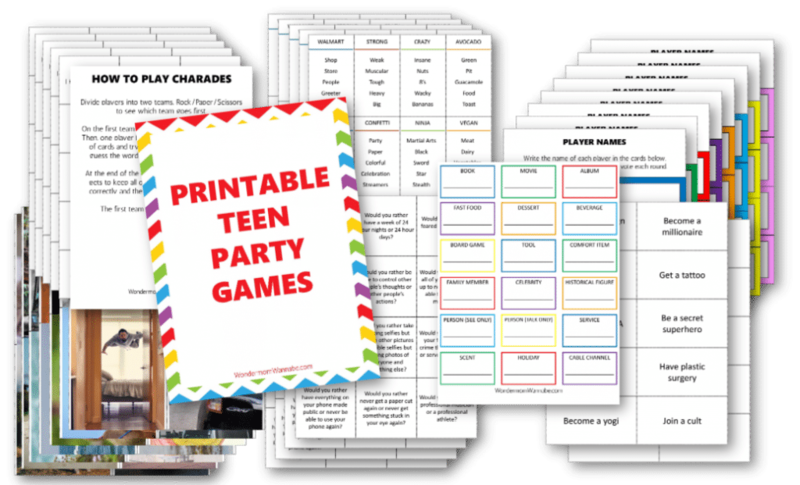 I’ve also designed a set of printable games just for teens. There are six different game card sets in the pack: Charades/Pictionary, Caption This, Would You Rather?, Taboo, Who’s Most Likely?, and The Island Game (instructions for each game are included). These are also available in my store, but you can click the image below for more details. 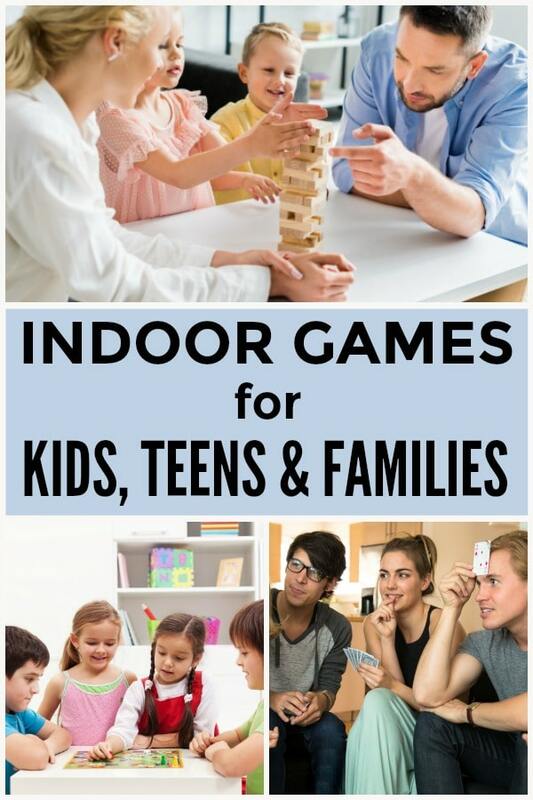 Perhaps because my husband’s military career has deprived us of a lot of family together time, my favorite indoor games are the ones we enjoy as a family. I’ll take a family game night over almost anything else. Thankfully, my husband and all five of my kids love games as much as I do. Despite the 10-year age gap between my oldest and youngest, we’ve found plenty of indoor games for families that we all enjoy. I hope you do too! I love indoor games since you can play them any time of year, regardless of the weather. If you’re looking for more ideas, check out all of these other activities your kids, teens, and entire family might enjoy. 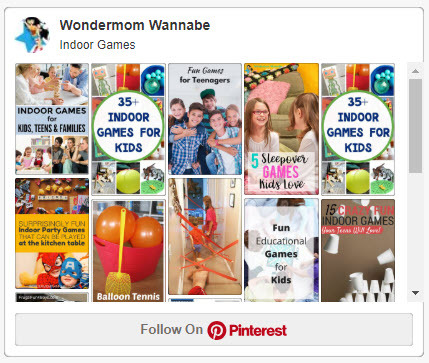 Follow my Indoor Games board on Pinterest for even more ideas!